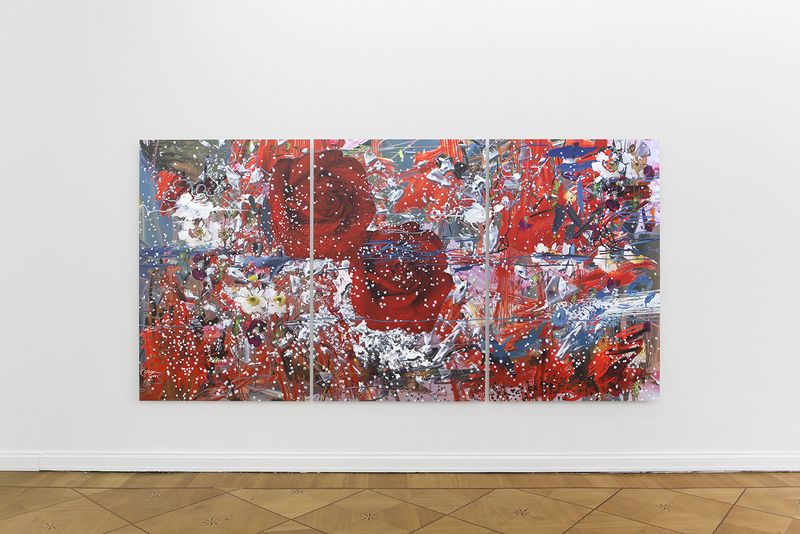 Société is pleased to announce Petra Cortright’s second show at the gallery. 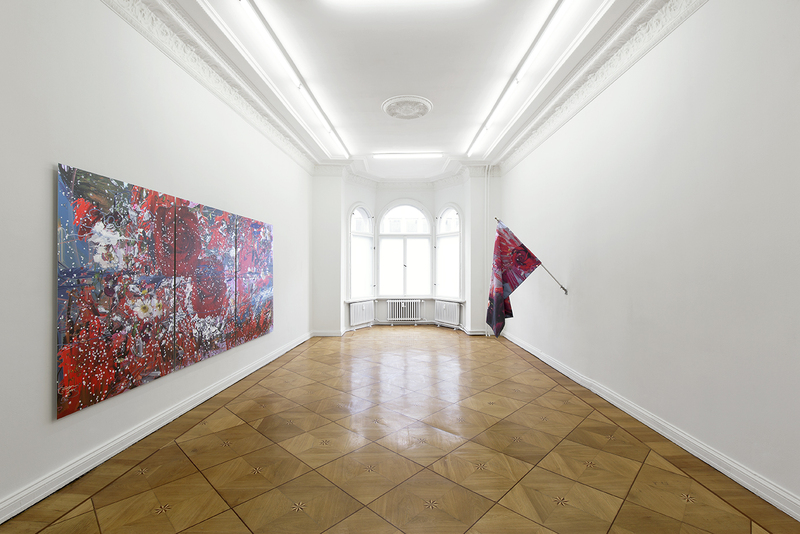 Cortright’s 2014 exhibition Petwelt included a selection of the artist’s well-known webcam videos. 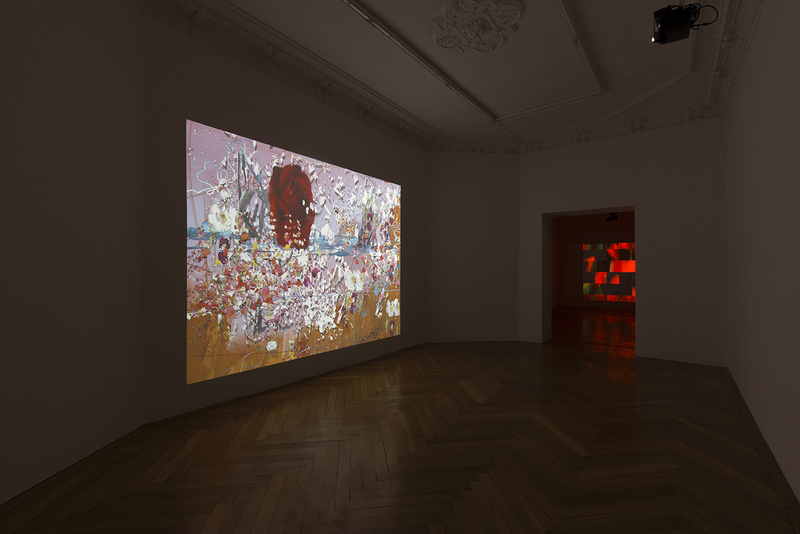 die Rose also includes two webcam videos, products of Cortright’s ongoing collaboration with fashion designer Stella McCartney. Whereas these two videos are on view for the first time here, McCartney has circulated other videos from the collaboration via social media in addition to showing them in stores around the world. To make the videos, Cortright poses in front of the camera similarly to how she’s been doing for over a decade – now wearing clothes sent to her by McCartney – and then processes the result through different software programs. For her digital paintings like those found in die Rose, Cortright works for sessions lasting up to 12 hours on Adobe Photoshop. She builds layer upon layer, each time drawing a color, a texture, a shape, etc. from an existing image that she finds surfing Google Images or, more recently, Pinterest. She paints using some brushes that she’s developed herself and others that she’s downloaded. The resulting Photoshop file will contain a couple hundred layers. In order to produce a painting, Cortright will select which layers should be visible, and in which order. 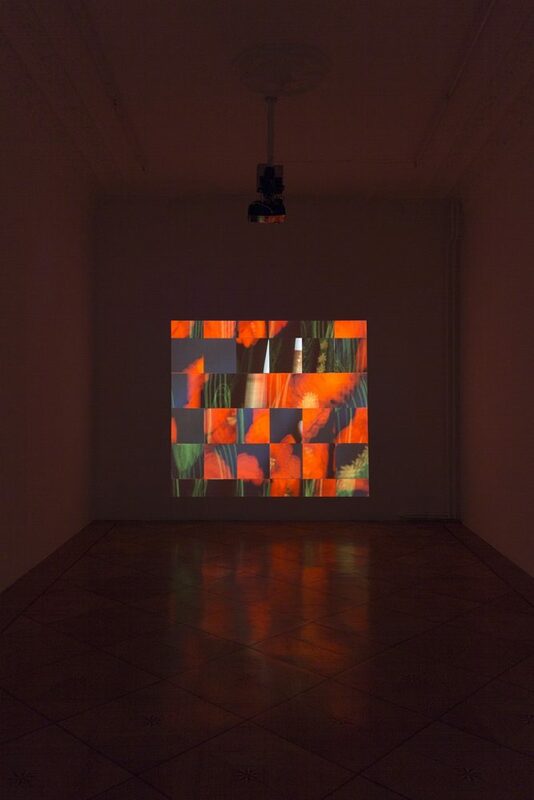 Each of the paintings in die Rose derive from the same Photoshop file; however, each represents a different combination of layers and has been printed on a different physical substrate. The flags on view have also been printed with variations of the file.